Berlin (AFP) - Traumatised by its Nazi past, post-war Germany has carefully relegated right-wing populist movements to the fringes of politics, but the anti-migrant AfD may have muscled its way in from the cold. With discontent growing in Germany over Chancellor Angela Merkel's liberal refugee policy, the populist Alternative for Germany (AfD) on Sunday captured seats in the regional parliaments of Baden-Wuerttemberg, Rhineland Palatinate and Saxony-Anhalt. 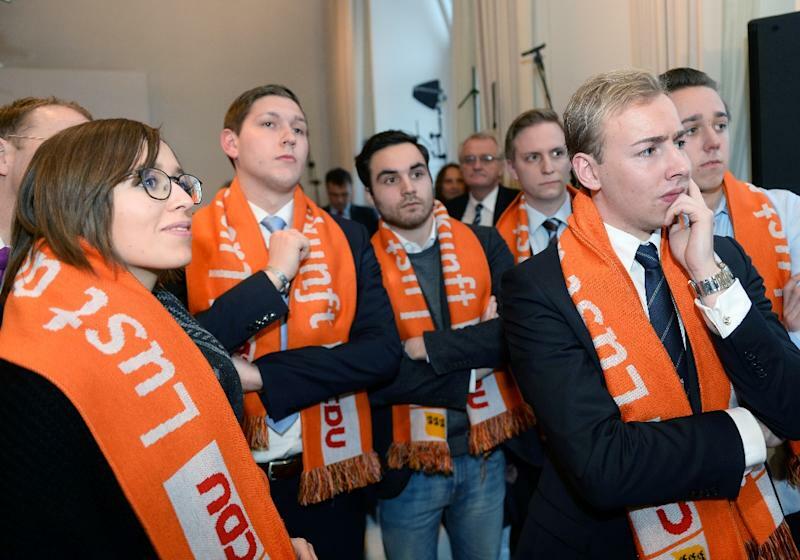 It garnered as many as close to one in four votes in Saxony-Anhalt while in the other two states, support reached between 12.5 and 15 percent, projections based on partial results showed. Andreas Roedder, contemporary history professor at Mainz University, told AFP that due to the migrant crisis, "we are seeing a normalisation of right-wing populist movements in Germany just like elsewhere in Europe, even if here, it takes on a special form because we can't ignore Germany's past." This is not the first time that Germany has experienced such a surge in populism since 1945. Neither is it the first time that such right-wing parties have been able to capture seats in regional parliaments. In the 1960s, the NPD, and in the late 1980s and early 1990s the Republikaner -- a splinter party from the CSU, the Bavarian sister party of Merkel's Christian Democratic Union (CDU) -- both managed to send deputies to regional parliaments. But each time, they have proved to be no more than passing fads. The Christian conservative alliance of the CDU and CSU has thus far been able to occupy the right of the political spectrum, preventing any party from having any lasting claim further right. That has until now made German politics unique, compared to Austria, Switzerland or France, where far-right parties have traditionally had a stronger presence in the political arena. Much of the reason boils down to war guilt that has made Germans determined to never give the so-called "brown shirts" a chance to rule the nation again. 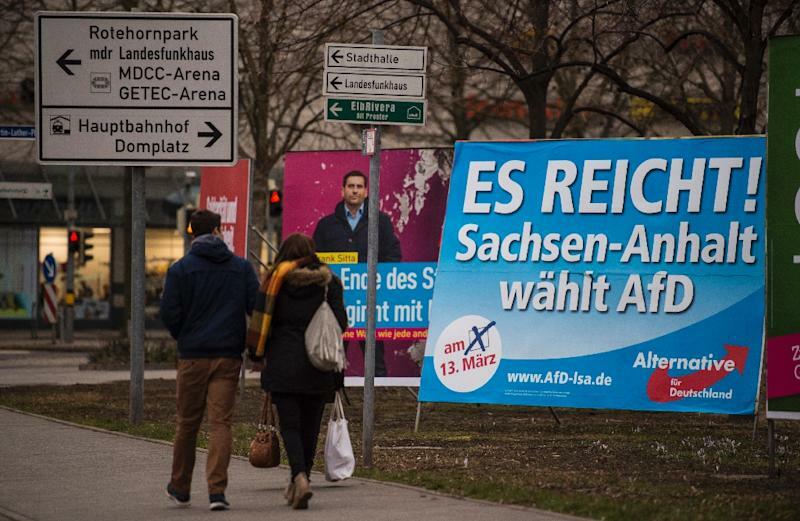 But AfD has arrived on the political scene at a fortuitous moment. After a record 1.1 million asylum seekers arrived in Germany in 2015 alone, many Germans are unsettled by what this sudden surge in newcomers mean for their homeland -- a fear that AfD has capitalised on. First founded in 2013 on an anti-euro platform, it found its first supporters through its claims to defend Germans against free-spending southern EU nations. Since then it has morphed into a party that has even suggested that police may have to shoot at migrants to stop them from entering the country. While its first successes were concentrated in the former communist east, which has been lagging the west in terms of jobs and opportunities, it is now gaining ground also in prosperous western states. 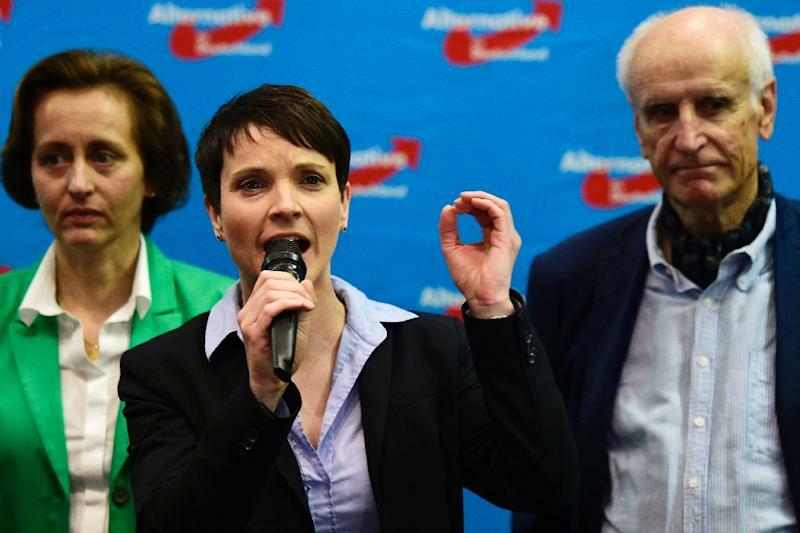 "AfD has become a national German party," said the Frankfurter Allgemeine Zeitung. Opinion polls suggest that AfD might even capture seats in the lower house of parliament in elections in 2017 in what would be an unprecedented success for such a movement. Finance Minister Wolfgang Schaeuble, known for being a straight-talker, simply described AfD as a "shame for Germany". "Until now, right-wing populist or extreme-right parties are considered taboo, considered like aliens in the political sphere," said German political analyst Wolfgang Merkel in a interview with Tagesspiegel daily. Mainstream parties have stridently refused any sort of television debate with AfD members. But the analyst believes that the taboo surrounding such right-wing populism could be soon shattered. "In which case, we would have to live with AfD like France does with the National Front and Switzerland with the SVP (Swiss People's Party), and be confronted daily with xenophobia in political discourse," he said. Some believe that the chancellor herself is to blame for pushing a middle ground politics that tries to be all things to all people. Although her strategy has led her party to win over some from the centre-left Social Democrats, it has left its right flank exposed. "With the 'social democratisation' and therefore a shift left of the CDU under the chancellor's mandate, it's more difficult for the Christian Democrats to cover all bases on the right," said Bernhard Wessels, political analyst at Berlin's Humboldt University. Die Welt daily went as far as to say that "AfD is Merkel's child" because the CDU has "ditched its identity".